I love wine. And I especially love Bordeaux wine. How could I not? Bordeaux is one of the finest wine producing regions in the world. But what if you don’t want to go wine tasting in Bordeaux? Or your kids have tagged along (as toddlers are prone to do). Or you’ve ticked off all your intended vineyards and you’re left twiddling your (no longer gripping a wine glass) thumbs? What then? Fortunately, although Bordeaux may have built much of its tourism reputation off the back of its vines, this thriving city has myriad ways to keep you occupied outside the vineyards. 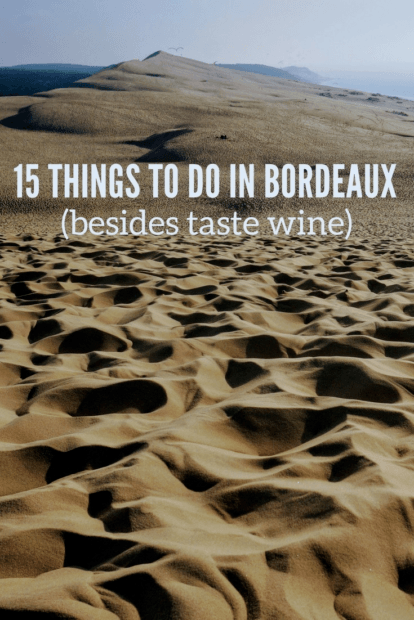 Here are my 15 top things to do in Bordeaux besides taste wine. I didn’t suggest you should ignore the Bordeaux vineyards completely. In fact, you really shouldn’t because I can’t think of many things better than driving through miles of ambling fields and vines on a warm Bordeaux day. 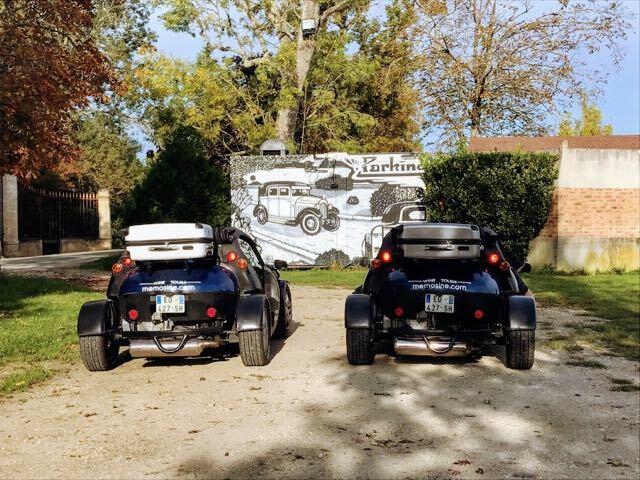 Undertake this activity in a sporty 2-seat media-guided cabriolet (it comes with a tablet loaded with GPS instructions and audio guide) and you’re onto a winner. Bonus: there’s an incredibly cute suitcase boot/trunk just in case you do decide to pop into one of the vineyards to make a purchase. 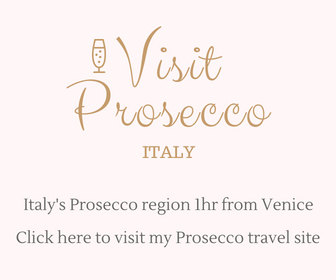 How to do it: You can book a self-drive wine region tour with Memosine, from €49 per person. Don’t forget – you’ll need your driving licence for the car rental. 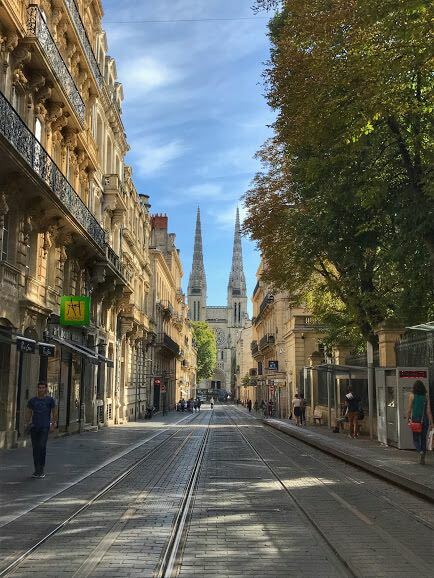 Fortunately, as well as a modern tram network, Bordeaux old town is highly walkable with many of the main sights reachable on foot. Double fortunately, it is also a UNESCO World Heritage city teaming with 19th century architecture. 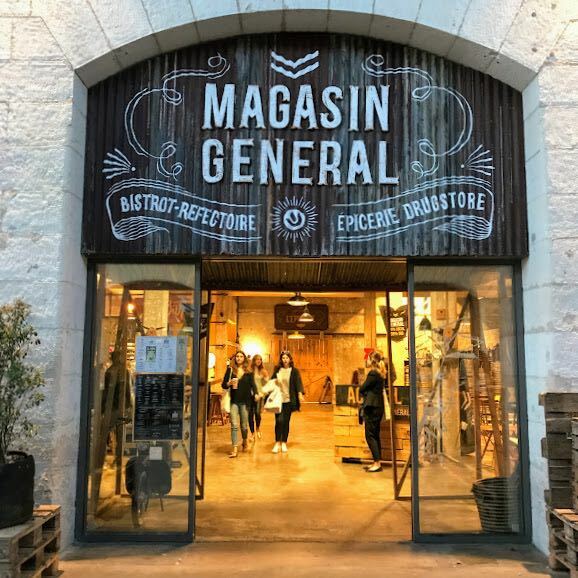 Of course, you can amble along, exploring the main Bordeaux tourist attractions all on your own but seeing the city through the eyes of a local will offer a much more immersive experience. How to do it: I did my Bordeaux sightseeing with a warm-hearted and whimsical guide called Bruno. You can find him here. Did you know? There are over 360 building in Bordeaux that are listed/historical monuments – that number is second only to Paris. Take a former military barracks, add street art, a skate park, bike polo (exactly what you think it might be), craft brew and an urban farm, and you’ve set the scene for one of the city’s hippest spots. In fact, it’s where Bordeaux’s hipsters hang. How to do it: You can plan your visit here. Busting for a beer? In a region of wine, it can be a refreshing change to grab a cold beer. Better still if it’s an organic craft brew. You can find exactly that at Magasin Général, Darwin’s popular bar and bistro-refectory. 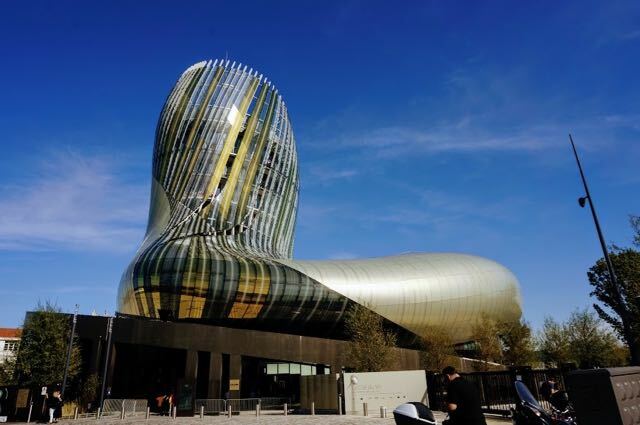 Opened in 2016, La Cité du Vin has been dubbed by some as Bordeaux’s wine theme park and I can’t think of a more inaccurate description. Playful – yes, interactive – absolutely, but there is nothing gimmicky about this world class museum where you can explore the global culture of wine. From wine tasting classes to 4D immersive experiences, you’ll be reluctant to leave La Cité du Vin, but when you do, you’re going to have a lot more wine knowledge packed into your grey matter. How to do it: You can buy your tickets online in advance from the La Cité du Vin website or you can pay on the day, from €20. You can usually book wine workshops on the day so long as you arrive early and plan to attend an event that’s later in the day rather than ‘right now’. Tip: I’d recommend about 3 hours to fully enjoy the museum, excluding any workshops. This place is huge and there are plenty of things to play with. Even if wine isn’t really your thing, I’d put Cité du Vin on your Bordeaux itinerary just to see what a well-executed 21st century museum and experience space looks like. Did you know? The building was designed to resemble wine swirling in a glass. Unlike most museum eateries, there isn’t a stale sandwich to be seen at Restaurant Le 7, La Cité du Vin’s resident restaurant. Apart from serving a gastronomic feast, you can enjoy panoramic views. Me? I was too occupied with the artwork that kept turning up on my plate to catch more than a glimpse of the city-wide sights. And, yes, that is a sweet macaron filled with creamy blue cheese. How to do it: You can find out more and make a reservation here. For €25 you can try the daily special and a glass of wine chosen by the sommelier to compliment your dish. Tip: I’d highly recommend booking ahead. I didn’t see a spare seat when I visited at lunchtime on a week day. Did you know? Restaurant Le 7 serves over 500 wines from 52 countries. So, if you fancy trying something from Tajikistan, you might be in luck. I’m a bit indifferent to grapes (other than when they’ve been fermented and bottled) but that opinion changed when I casually popped one of the local grapes into my mouth in Bordeaux. Soft-skinned and oh so juicy, I can see why this fruit is the foundation of some of the world’s finest wines. And tasting it in its pure form is almost as pleasurable as sipping it in a glass. Almost. How to do it: check out one of the local markets (more on this below) otherwise you can find fruit sellers dotted around the streets of Bordeaux. 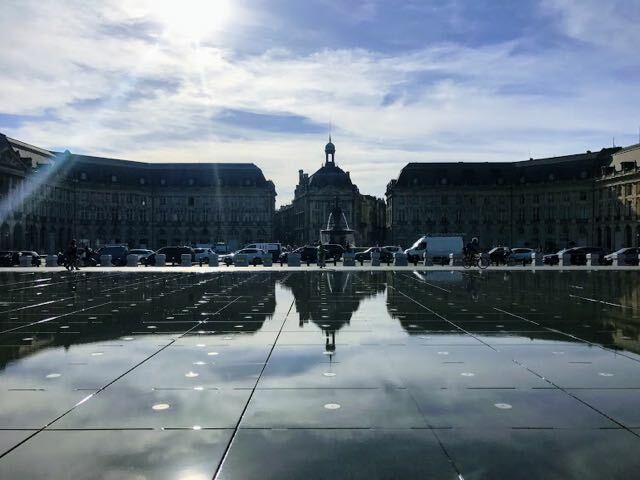 Of all the free things to do in Bordeaux, Miroir d’Eau – or water mirror for us non-francophones – has got to be top of the list. A couple of centimetres of water skimming the top of an expanse of granite provide the perfect combination for reflections. Whether you want a double image of the bourse, which it fronts, or you’re looking for a new selfie-angle for Snapchat, you’ve got a high change of success with the water mirror to hand. For me, the most fun was had paddling in the shallow water on a warm day, but I never did shake loose from my inner-5-year-old. How to do it: The water mirror is accessible 24/7 but do wait for a wind-free moment to take your shot, when the water is calm enough to appear as glass. Did you know? This is the most photographed location in the city of Bordeaux. Bordeaux isn’t just known for it’s wine – its food is just as famous. 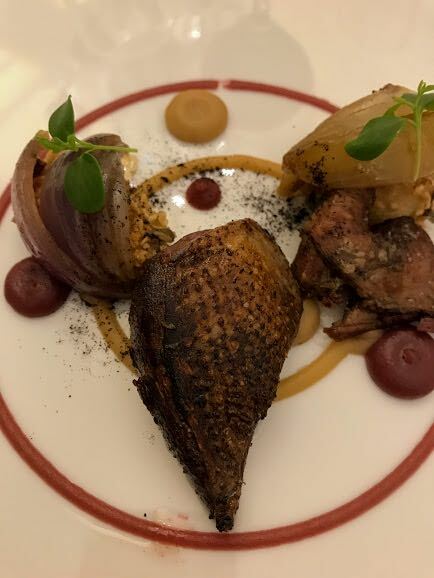 So, why not try a tasting menu at Le Gabriel, one of the best restaurants in Bordeaux where the food is a blend of tradition and innovation? Located on Place de la Bourse, the views over the river as darkness arrives is nothing sort of magical. 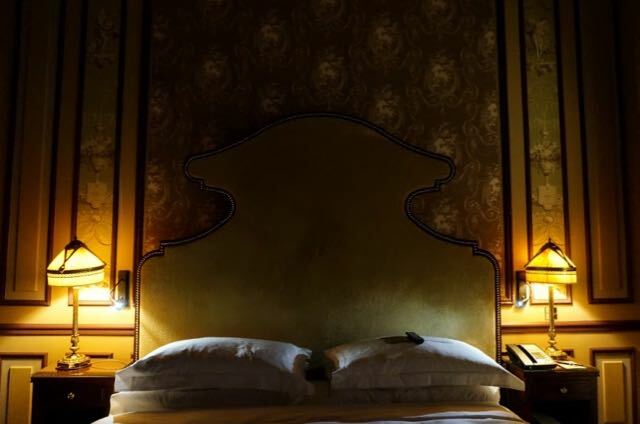 Le Gabriel is ideal if you’re looking for romantic things to do in Bordeaux. How to do it: You can find out more and book at Le Gabriel here. 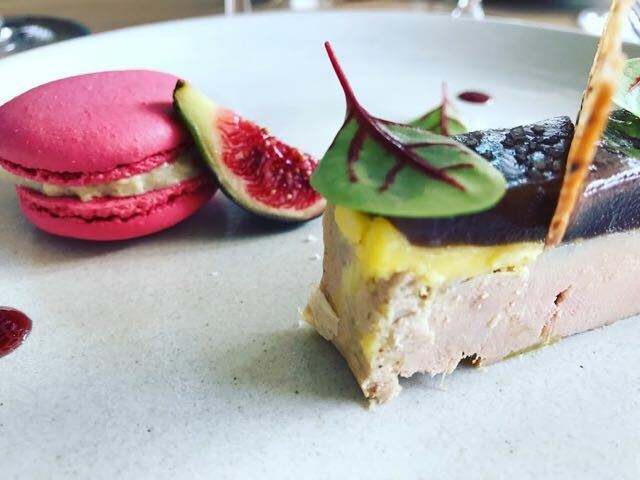 Tip: if Le Gabriel restaurant is outside your price range/comfort zone/available timeframe, try the more relaxed yet still beautiful Le Bistro Gourmand which is located on the ground floor of Le Gabriel (details on the Le Gabriel website, above). A short distance from the centre of Bordeaux lies Château La Chèze. 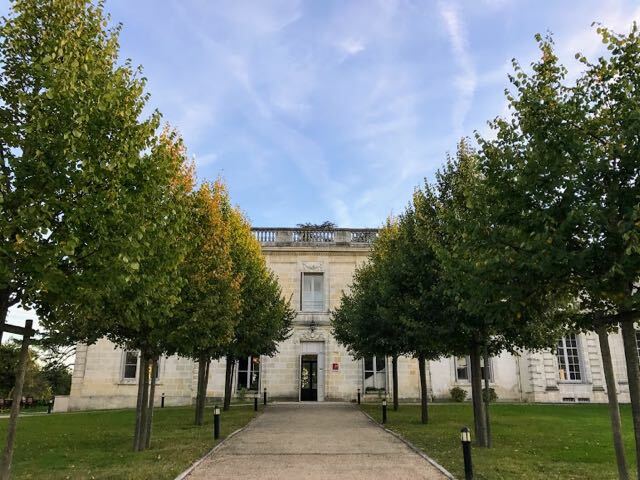 A 19th century castle tucked away amongst 2 hectares of private grounds, you can enjoy the city experience whilst having a sanctuary to retreat to at the end of the day. How to do it: You can make a reservation at Château La Chèze here. Tips: take a book (or two) – there are deckchairs out on the lawn where you can drink in the sun. Looking for some travel themed reads? Here’s my 50 best travel books of all time. Did you know there are beaches near Bordeaux? Of course, a quick glance at a map will tell you that Bordeaux is close to the coast but having grown up in the Great British Isles, I’ve been conditioned to know that coastline doesn’t always equal stunning sandy beaches…except in Bordeaux, it apparently does. So, if you’ve got time for a quick day trip from Bordeaux, I’d highly recommend heading out to Archachon. How to do it: Archachon is easily reached from Bordeaux by train. The journey takes 51 minutes and prices start at €9. Trains leave from Bordeaux-Saint-Jean, the main station in the city centre. The beach is a 10 minutes walk from Arcachon train station. You can check train times from Bordeaux to Arcachon here. 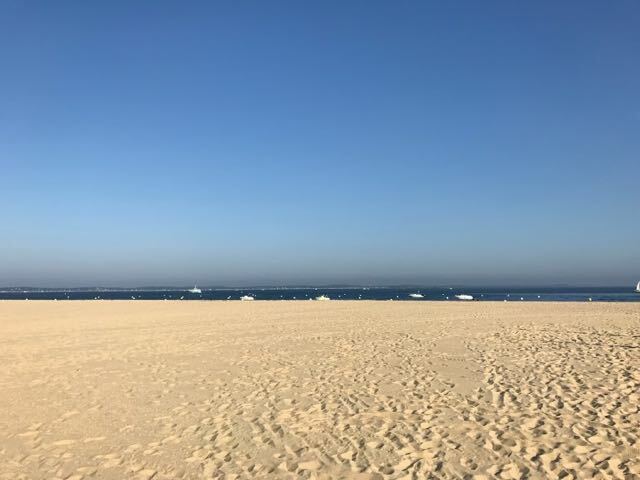 I can scarcely look at a stretch of water without wanting to board a boat and this inherent urge was typically strong when I visited Arcachon. With lunch onboard and the calm waters stretching into the distance, sailing around the bay of Arcachon is the perfect counterbalance to your city break. 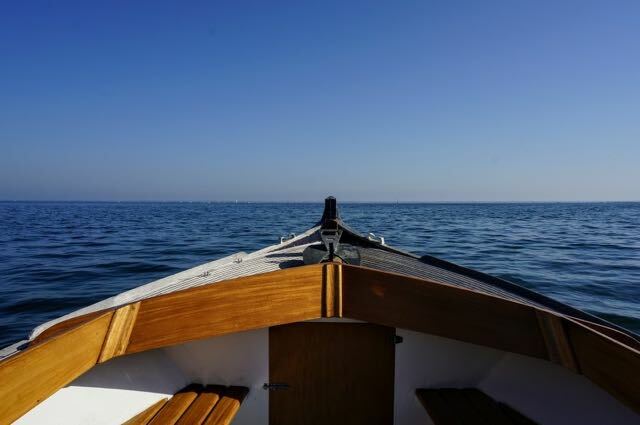 How to do it: You can charter a “pinasse”, a boat that has been popular since the French revolution, with Arcachon Découverte. Prices start from €275 for 2 hours sailing through the bay with an experienced sailor at the helm. Boats fit up to 11 people so this is the perfect activity if you are travelling as a group. Tip: if you are a solo traveller or not in a large group, there are stalls near the beach selling boat trips where you don’t have to charter the whole boat. It feels like it’s been a while since I recommended you eat something and who can visit France without spending time at a French market? 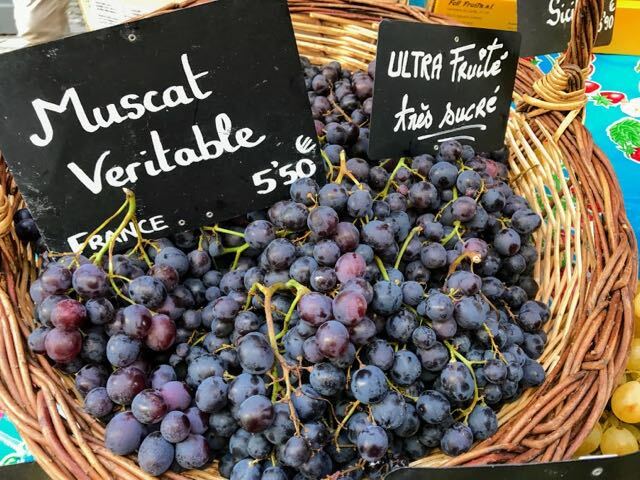 Whether you’re brave enough to stow some French cheese in your carry-on or you just want to fulfil that straight-from-the-movies dream of walking around with a baguette tucked under your arm, a French market is the place to do it. How to do it: If you’re looking for a very local experience, check out the food market in Arcachon. Alternatively, if you want to visit a market in Bordeaux city centre, try Marché des Capucins. Tip: where there is a French market, there is bound (probably by law) to be a bakery nearby. 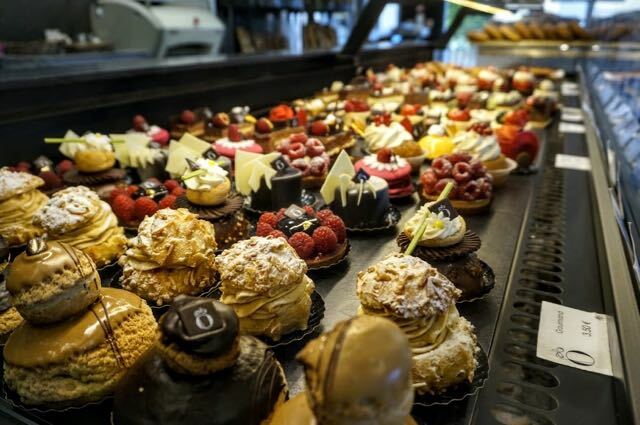 With your baguette at your side, sample another French delight – anything and everything that comes out of a bakery. If you want to try something particularly local, feast on a canelé – rum and vanilla in a cake. I hope someone won an award for that creation. Looking for unusual things to do in Bordeaux? Why not take to the forest (or beach) on one-wheel? Having wrestled my way through ACL surgery and a year of recovery, I had some reservations about this activity. 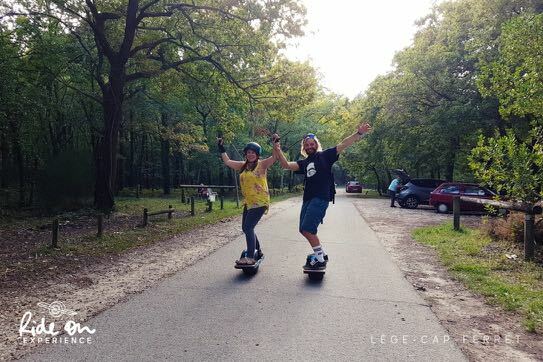 But as soon as I got the hang of balancing on a one-wheeled, electric powered board, this was one of my favourite activities in Bordeaux. Got kids with you? This would, hands-down, be one of the best things to do in Bordeaux with family. How to do it: You can book your one-wheel session with Ride On Experience. Tip: if you opt for the forrest session, take mosquito repellent. You can read my thoughts on the best mosquito repellent here. Ok, ok, this is the last food recommendation, I promise (well, second to last). But being so close to the water, Bordeaux is awash with seafood eating opportunities. 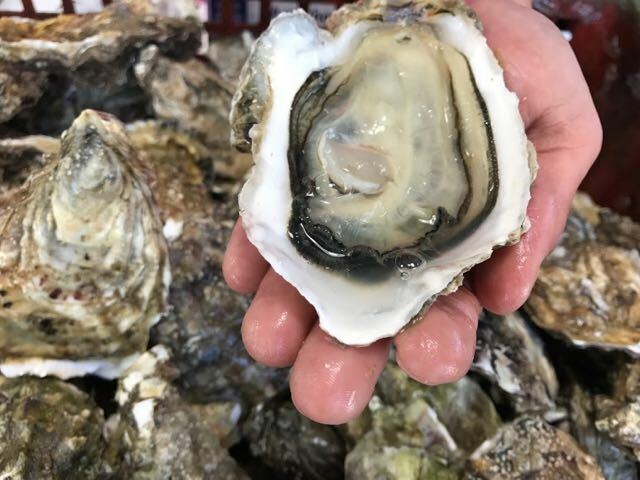 Oysters are a particular specialty but if they’re too challenging for you, there are plenty of fresh-from-the-sea alternatives. How to do it: La Cabane du Paliquey is a popular seafood restaurant near Arcachon. I’d already stuffed myself with fresh prawns and sea snails when I was out on the Bay of Arcachon so I just watched the skilled owner shucking the oysters out of their shells. However, if you’re after oysters as big as your hand, you’re in the right place. Prefer some beef? I had good steak-frites at Le Bikini in Arcachon. It’s also a pretty spot for a sunset cocktail, just on the beach. You know a sand dune is seriously large when it has a set of steps built into it. In fact, Dune du Pilat is big enough to be crowned Europe’s largest sand dune. How large is it, exactly? Well, it has a volume of 60,000,000 m³, but if that doesn’t mean much to you, that’s about 110 metres high, 500 metres wide and 2.7 kilometres long. Yep, pretty large. And if that isn’t impressive enough, it’s skirted by a vast pine forest. 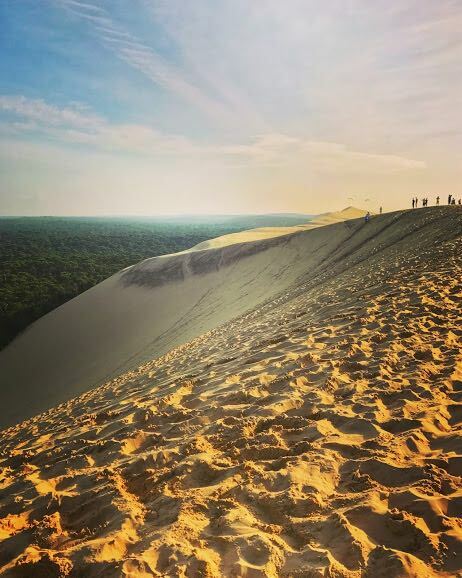 How to do it: Unlike most tourist attractions that have earned the ‘largest’ label, Dune du Pilat remains free to visit. I know, right? Don’t question it, just enjoy it. You can find out more about how to get there on the Dune du Pilat website. There are café and bathroom facilities at the base of the dune. There is a charge for parking (in the car park, not on the dune – that’s not allowed). Tip: plenty of water and sunscreen are a given but the dune also makes a great spot for a picnic. Perhaps you’ve still got that baguette under your arm? Just add cheese. Where I can, I prefer to travel by train – airports just aren’t much fun anymore – so, I chose to take the train from London to Bordeaux. It’s was about as quick as flying (once you add in the hours pre-flights), I got to keep my shoes on the whole time and I could watch the French countryside roll by. How to do it: Take the Eurostar from London to Paris Gare du Nord (2hrs 23) then hop on the high-speed train from Paris Montparnasse to Bordeaux Saint-Jean (2hrs 04 minutes). 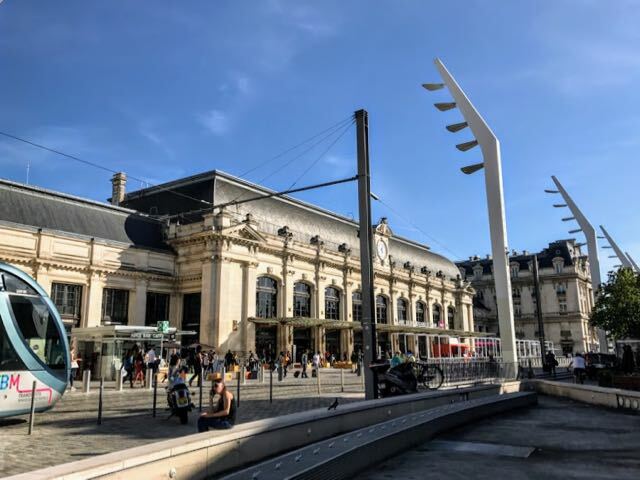 Don’t worry about lining up the train times – book through Voyages-sncf (the official ticket seller for the French railways, SNCF) and you the website will suggest the best train connection times. You can also book tickets just for the Paris to Bordeaux train if you’re arriving from elsewhere. Fares from London to Bordeaux start from £111 for a standard-class return. You can check schedules and book tickets with Voyages-sncf here. The easiest way to transfer between the Paris stations is by Metro (map here), otherwise take a taxi. Tip: if you have a bit of time to spare in Paris, grab a quick lunch at l’Etoile du Nord within Gare du Nord. 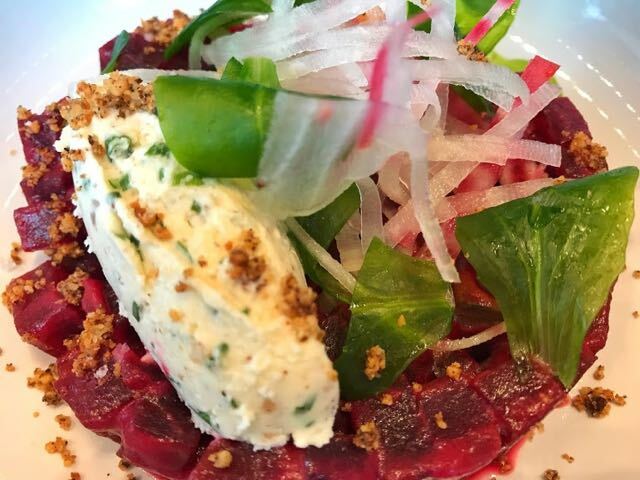 The fixed-price menu offers an impressive combination of fine food (from Michelin-starred Thierry Marx) with fast service. I took the 9:24 a.m. Eurostar from London, took time for lunch at l’Etoile du Nord, connected with the 2:50 p.m. train to Bordeaux and arrived at 4:58 p.m. I stayed at Le Grand hotel and its name did not disappoint. With an 18th century styled-interior, this 5-star hotel has to be the finest in the city (or I’ll eat my beret). Located opposite the Grand Theatre and a short walk from Place de la Bourse, the hotel also puts you in a prime spot for exploring the city. You can find out more and book the Intercontinental Bordeaux – Le Grand Hotel here. the Night Beach – the hotel’s rooftop terrace with 360 degree panoramas of the city. 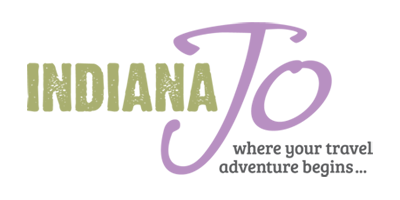 For more information when you’re planning your trip to Bordeaux, check out the Official Bordeaux Tourism website. 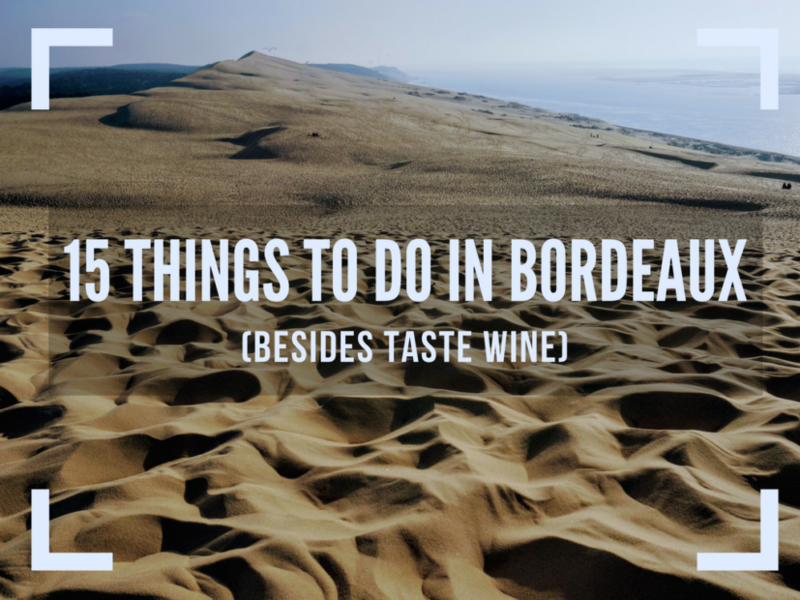 That’s my list of 15 things to do in Bordeaux (besides drink wine). Planning a trip to Bordeaux? Got any questions? Let me know in the comments below and I’ll answer them as best as I can. My visit to Bordeaux was courtesy of Voyages-sncf. Thanks – happy to help! Have an amazing trip. It is one of my favourite parts of the world.